Heather Ackroyd & Dan Harvey have been creating images by growing grass selectively since about 2001. 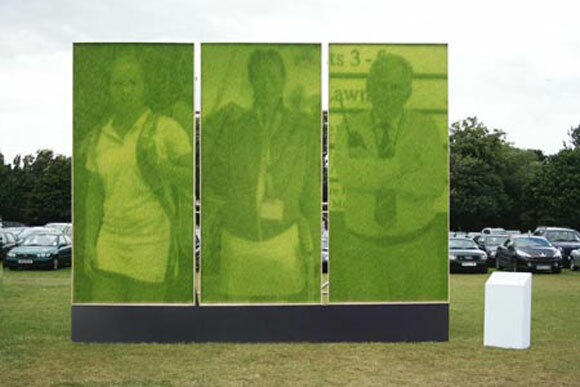 Recently they’ve created a high-impact piece related to the Wimbledon Tennis tournament. A nice form of bio-art. Welcome our smiling bacterial overlords!